It’s been available in Beta since October but today Apple has officially launched its Facetime app for OSX via the Mac App Store. 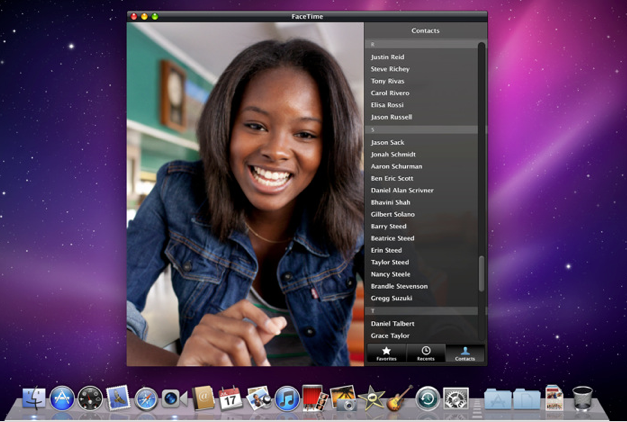 The app allows you to chat to other Mac users, or anyone using Facetime on their iPhone 4 or a latest generation iPod Touch. Interestingly, the app supports receiving 720p HD video calls, although there’s no mention of it being able to make them. Could we see 720p iSight cameras fitted to the new MacBook Pros, widely rumoured to be launching today? We’ll have to wait and see. Certainly no current Facetime-supporting cameras carry 720p sensors (UPDATE: Indeed, just minutes after we published this post, along came the new MacBook Pros with Facetime HD cameras built-in). The main other difference from the beta release is that you now have to pay 99 cents, not a major expense but hey Apple, you could have tipped us it for free. You can find Facetime in the Mac App Store here.